We have been learning about fables in English. 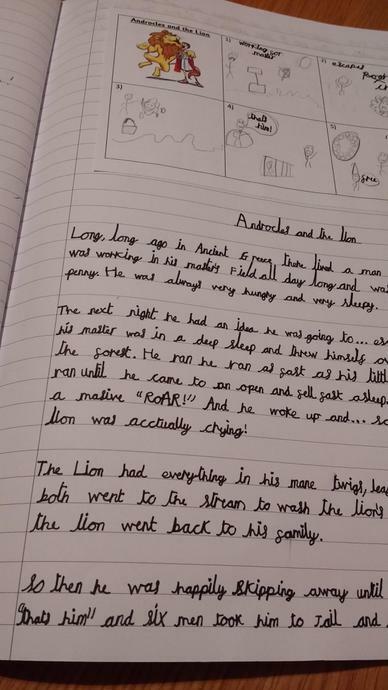 We had great fun retelling the story of Androcles and the Lion. 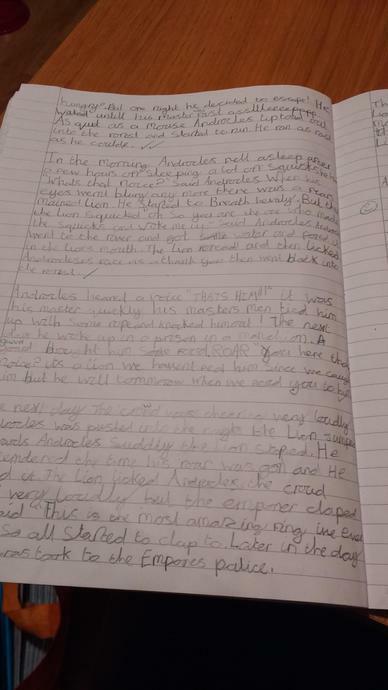 We then went on to create a new version of the story. 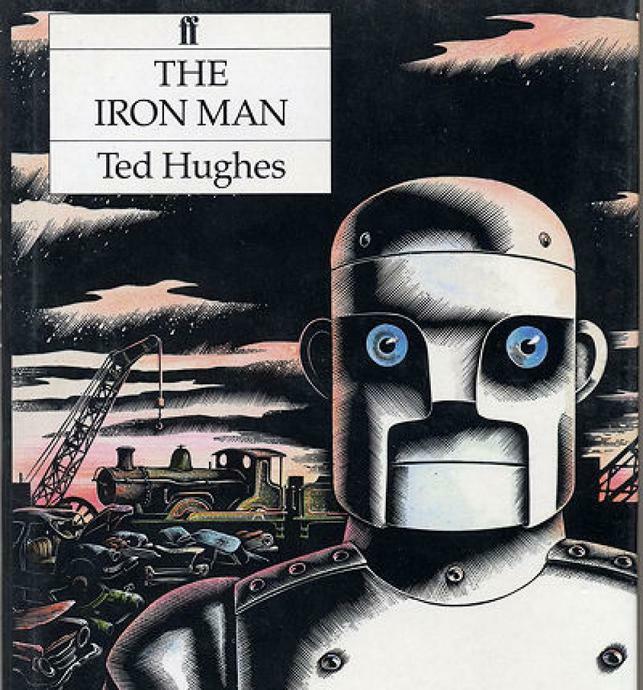 We have loved reading the Iron Man by Ted Hughes. 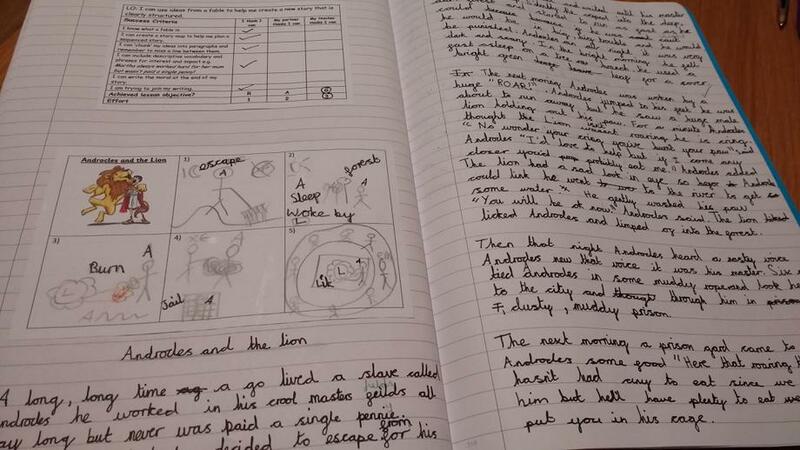 We enjoyed predicting what we thought would happen next and have even written our own mini stories in the same style. We have been learning about traditional tales. 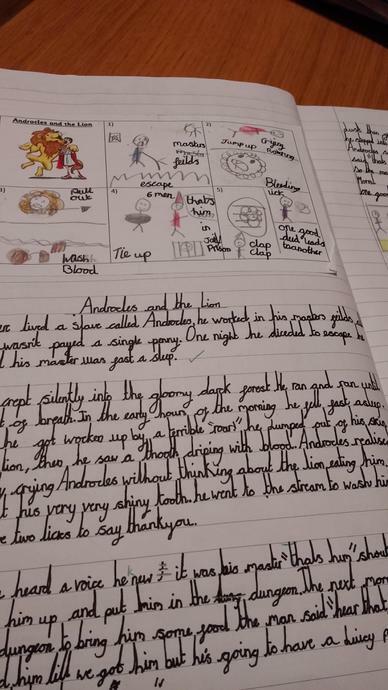 We have loved reading 'The Monkey's Heart' and developing our story telling techniques. We enjoyed sharing our stories with Dublin Class - they made a fantastic audience! We have been learning all about instructions and the way they are organised. 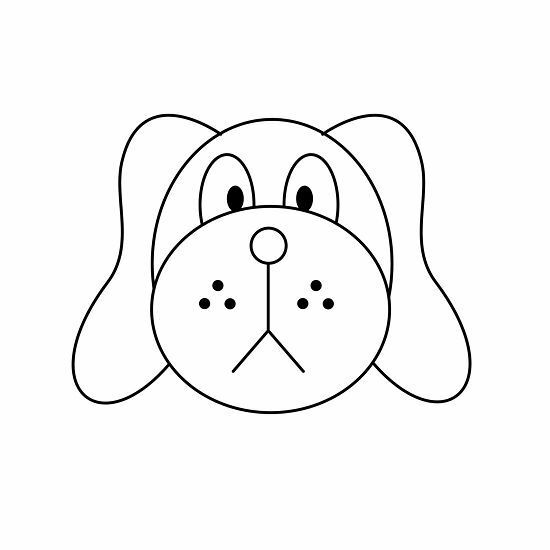 Ask a child from our class to give you the step by step instructions to help you draw this!